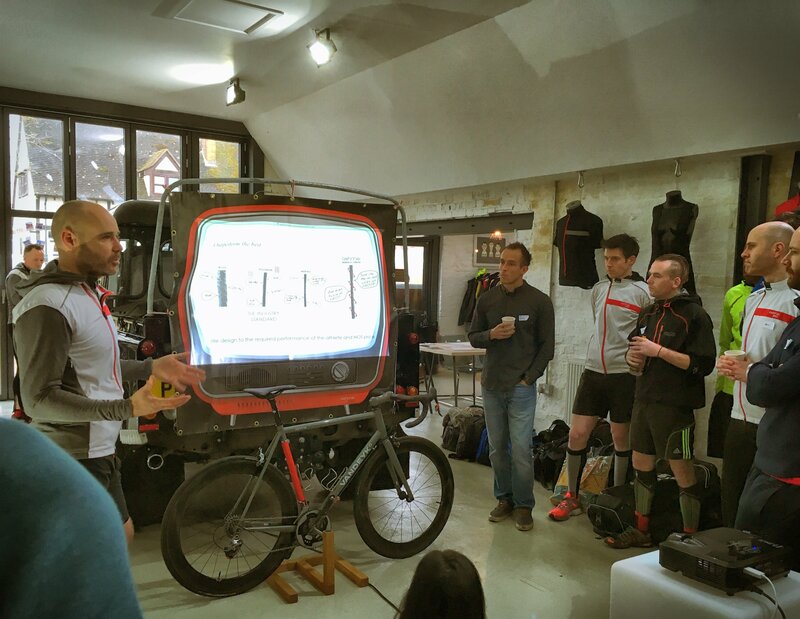 Well today was the day that all us hopefuls converged on ashmei HQ for the Ambassador selection day. We’ve all been working hard on our homework and social media-ing the hell out of it over the previous two weeks. For those that are confused about what I’m talking about, I explained all about it in my last blog post. The weather wasn’t as bad as first feared and despite a small snow shower between Cambridge and Bedford it was dry when I arrived at Aldbury in Hertfordshire and entered the ashmei showroom/studio. Everything about ashmei tells you how serious these guys are about design. While their clothing is phenomenal, their studio and pop-up store are also real classy well thought out items as well and really demonstrate how seriously they take their brand. When we signed in we were given a free pair of socks, which was an unexpected pleasure and really appreciated. We all had our photos taken individually and after some mingling and chatting over coffee, the event formally got under way just after 10am. Stuart Brooke, the founder of ashmei, gave us the history of both the brand and the team behind it, before getting into the detail of how they approach the design process. 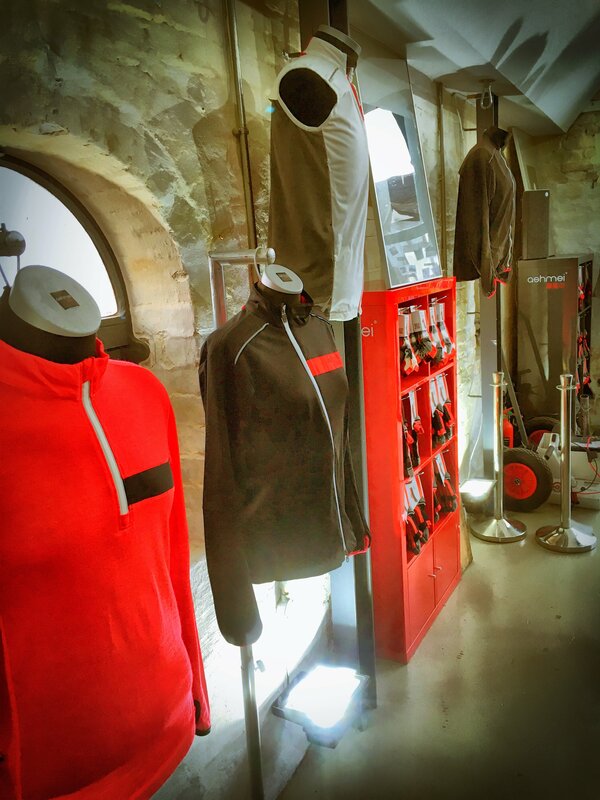 It was fascinating stuff and was awesome to hear how they put the athlete and their intended sport first and design the garment out from there. Price is the final part of the puzzle and while in many cases their garments are not cheap, you definitely get what you pay for and here you are getting the best or in many cases the very best there is. As their streamline says, they want to outperform the best! The existing ambassadors – Owain Williams, Simon Green and Louise Croxson – all gave us a quick talk about their backgrounds and pointers on the selection process. Three candidates were also asked to explain the background to their polaroids which we’d all produced for our homework. Some really interesting stories and if we didn’t already know it, we now knew there would be stiff competition for the ambassador spots. This could have felt uncomfortable but it was anything but and it was a really friendly atmosphere. There were so many talented people in the room, all with their own unique stories to tell and this was one of the real highlights of the day for me. With that we quickly got changed and headed out onto the run. I’d been indecisive in the morning about which trail shoes to wear, so just threw multiple pairs into the boot. On the drive over I’d decided to wear a new pair of Salomon Speedcross 3’s that I’d pulled off the shelf, after I’d destroyed my other pair on last weekends run. It meant I’d have to wear shiny bright new shoes but I figured the run would be fairly short and at a nice easy pace, so was the perfect opportunity to get them muddy and start the process of breaking them in ahead of next months Fellsman race. 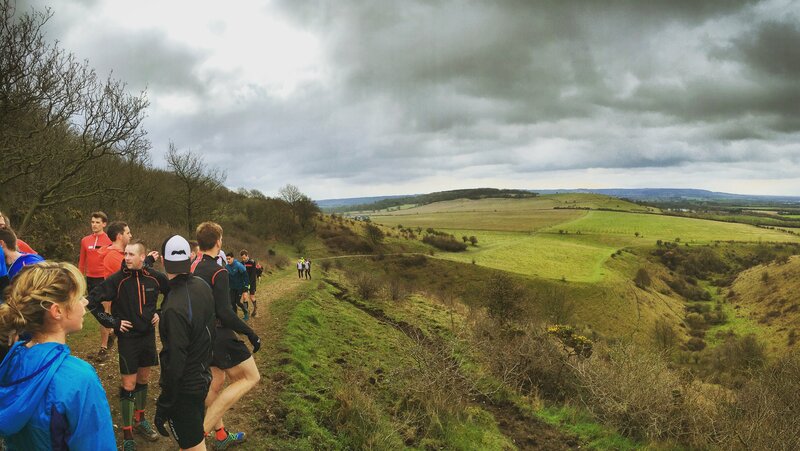 The run itself was really enjoyable and my first time running in The Chilterns. It was brilliant to get some proper hills in for a change and the thick mud in places just added to the fun. As we ran we chatted with each other and the ashmei staff and ambassadors that had joined us. I got an opportunity to pick Simon Green’s brains about the camera he uses for the videos he puts together. We’d been shown an example of his work before we left and as this is something I am interested in getting into in the future, I was keen to take the chance to get some tips. ASHMEI Running in Winter from Simon Green on Vimeo. After an hour easy running and chatting we were back at ashmei HQ for more coffee and cake. All to soon though the day was at an end and after some quick good byes, we all headed off for our journies home. Many thanks to ashmei for the invite and to all those that attended for making it such an enjoyable morning. 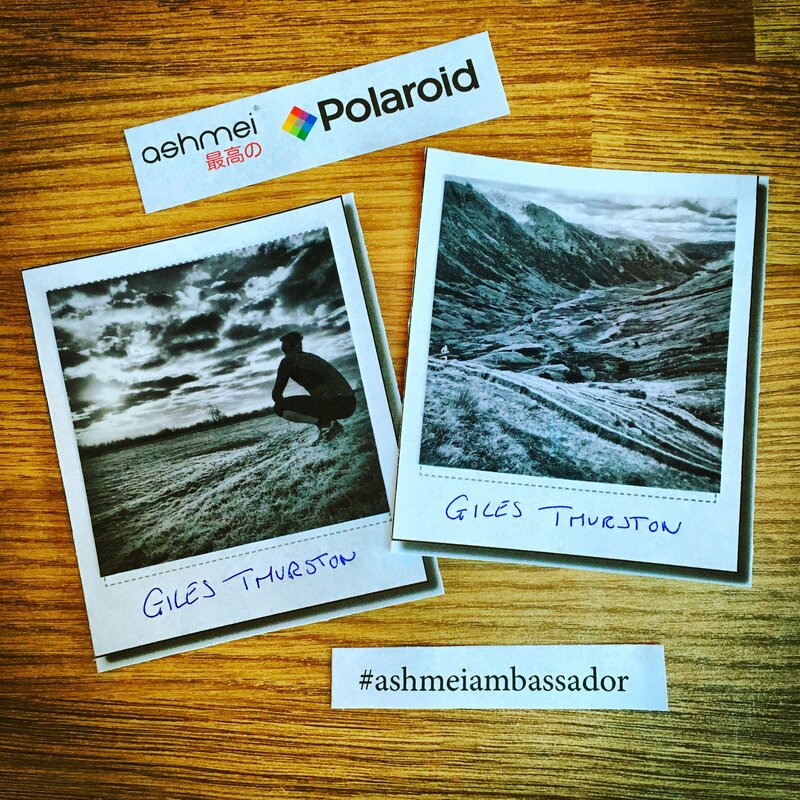 While I already held ashmei in high regard before today, after hearing more from Stuart and the team about the brand, their aspirations and the way they approach their ambassador scheme, they have risen in my estimations even further. While I would absolutely love the opportunity to become an ambassador and be extremely proud to represent and work with such a great brand, I’m under no illusions that everybody in that room has an equal or better claim to that spot than I do. I for one don’t envy the ashmei teams their task this week! I’ll have everything crossed and will be avoiding black cats and ladders for the next few days until we hear their final decision thats for sure. Fingers crossed! Thanks once again everybody for making today so enjoyable. 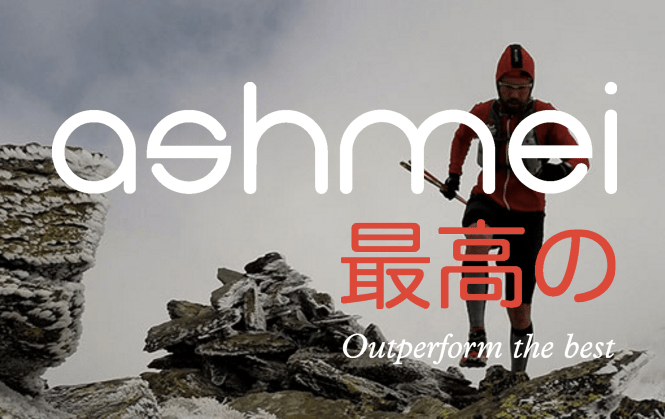 If you haven’t heard of the ashmei brand or would like to find out more about them, then I would strongly recommend you take a quick look at their website. They really do practice what they preach!